On November 26th, 2018, Ton Duc Thang University (TDTU) together with other European universities and businesses visited the office of Binh Dinh People's Committee and had a working meeting with the province representatives. 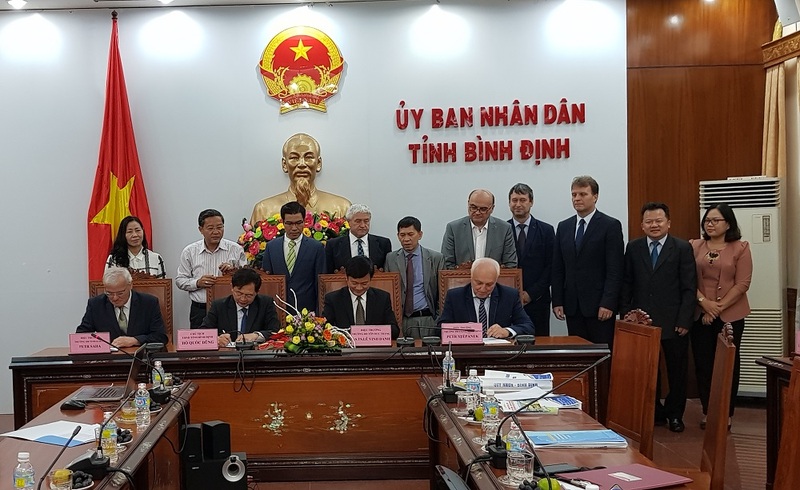 At the meeting, the Provincial People's Committee (PPC) and BR Group signed a Memorandum of understanding (MOU) for the implementation of two projects: "Investment Project to Build a Special Packaging Plant" and "Business District, Tourism and Resort" in Binh Dinh. At the same time, the PPC also signed a MOU with TDTU, Tomas Bata University, Brno University of Technology for cooperation in training human resources, scientific research and technology transfer. 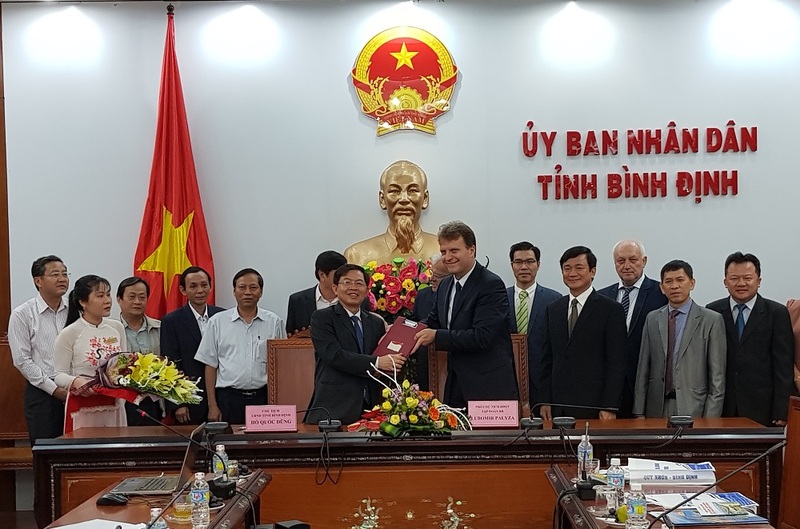 This is a part of the comprehensive cooperation program between TDTU and Binh Dinh Province. 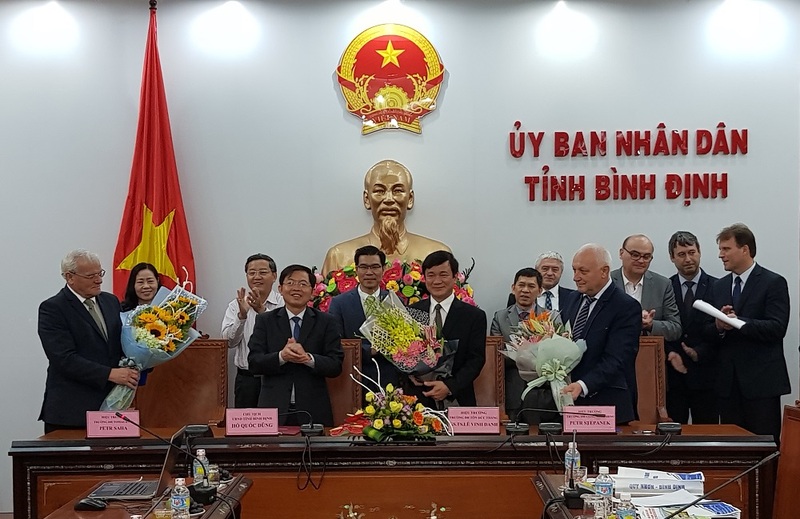 The three-way cooperation: university, business and local government is the way that TDTU has deployed to carry out responsibilities to support sustainable development for the province in order to expand cooperation and to seek international investment for Binh Dinh.